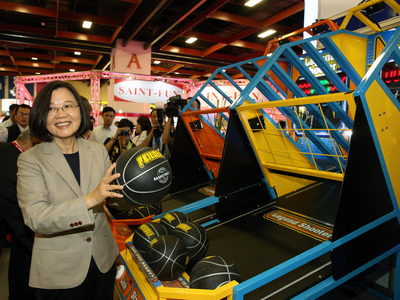 Taipei, March 24 (CNA) Taiwan's gross domestic product (GDP) growth for 2019 will remain above 2 percent this year due to firming domestic demand and investment, according to Taiwan Institute of Economic Research (TIER) President Chang Chien-yi (張建一). Chang made the forecast after the Directorate General of Budget, Accounting and Statistics (DGBAS) recently lowered its forecast for Taiwan's 2019 economic growth to 2.27 percent from an earlier estimate of a 2.41 percent increase made in November 2018. Taiwan's central bank also decided last week to cut its 2019 GDP growth forecast for the country by 0.2 percentage points from its previous estimate in December 2018 to 2.13 percent. The two downward revisions sparked concerns that growth could possibly fall below 2 percent. While Chang acknowledged that this year's growth momentum was weaker than last year's, when growth was 2.63 percent, there were also positive developments that should keep growth from slumping below 2 percent. Chang said Taiwan as a small and open economic entity has inevitably been affected by global uncertainties, such as the China-U.S. trade spat, the fallout from Brexit, and the varying growth rates of the world's main economies. Those global issues began to arise last year, leading domestic enterprises to adopt more conservative outlooks, Chang said, but most of them have prepared for the challenges and unless major surprises occur, huge economic twists and turns are unlikely in the near future. At the same time, the government's policy to attract overseas Taiwanese businesses to return to invest is expected to spur domestic investment and help boost domestic demand, Chang said. Chang took over as head of the TIER on March 1. He said in a recent interview with CNA that he will work to improve the economic think tank's research functions to give the government good advice and help boost domestic industries and the economy. Strengthening industry research will be one of the TIER's main goals in the near future, Chang said. The think tank is also making a significant effort on offshore wind power research and the development of financial technologies and new tech apps, he said.